The MADF believes that education is the greatest equalizer. 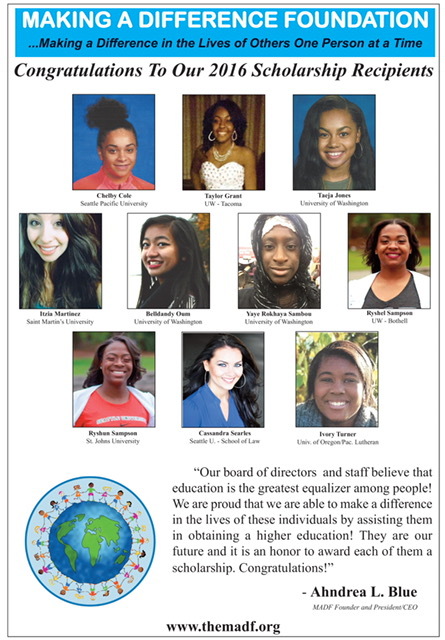 We make a difference in education by providing scholarships to individuals who are furthering their education. We also partner with schools, non-profits, churches, and other programs by making financial contributions to their educational programs. We are awarding up to 10 scholarships. 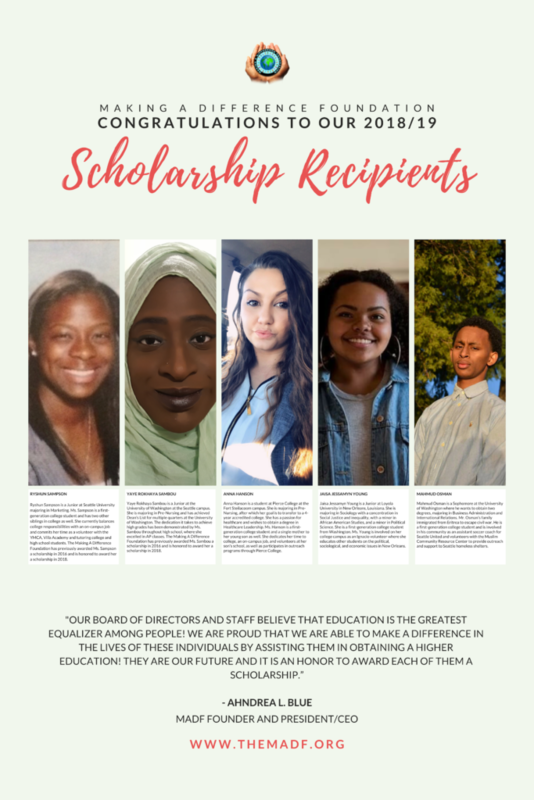 Individual students selected by The MADF Scholarship Selection Committee will be awarded $1,500 scholarship to apply towards college educational expenses. Past scholarship awardees can apply annually up to a maximum of 4 years. Award must be used for educational expenses that include cost of tuition, books, supplies, room and/or board. Employees including Board Member and their immediate family are not eligible. Scholarship applications for the 2019/20 cycle are currently open! Applications must be submitted to MADF no later than 4/30/2019 at Midnight.